Here is a Class C with a rear Island bed and its on Vancouver Island. It features roof and dash air, awning, microwave and has a built in generator. 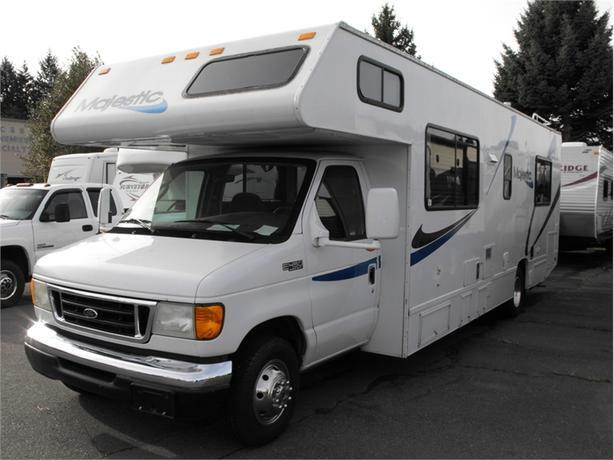 All Motor Homes we sell will come with a vehicle history report, chassis safety inspection, propane re-certification and our 99 point coach service. 1-888-390-7780 We have competitive financing available. Price does not include documentation and taxes. We are always looking for used units for sale.